July 16, 2017 — Comments are off for this post. Feed have moved office, remaining in the Hive building located in the iconic Northern Quarter, Manchester, to a private space 8 times the size of its former location. The new space covers over 4,000 square feet and has a large open plan office, 4 meeting rooms, break out areas, and a large event area and terrace which will be used for seminars, training and speaker events. The space was refurbished and redecorated by local interior design firm Redbridge, and fits in with the decor and style of Feed’s 4 other offices. 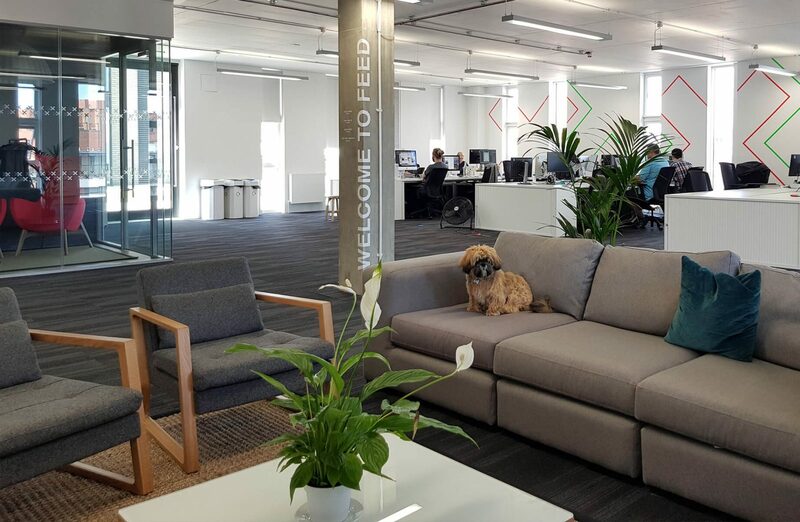 The office is fast becoming a tech hub for Feed’s email development team and will give Feed the room it needs to grow into one of Manchester’s top tier agencies. Feed currently has 170 employees and are recruiting for a further 12 positions across their 5 offices.